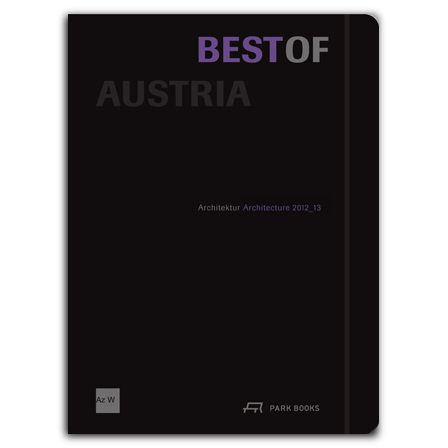 Best of Austria is published biennially by Architekturzentrum Wien to present award-winning buildings in ten categories, such as living, tourism, culture, industry education etc., by Austrian architects and projects by foreign architects realized in Austria. Covered are all architecture prizes that have been awarded by public and private institutions or corporations in Austria. The latest edition of Best of Austria features around 170 projects that were completed in 2012 and 2013. Each is presented with 2–3 images and a floor plan, section or elevation as well as brief descriptive texts. A critical essay on contemporary Austrian architecture and building culture, a comprehensive index of all featured projects and architectural firms, and information on all architecture awards round out this up-to-date survey of contemporary architecture and building culture in Austria. 1997 doctorate at the Bauhaus University Weimar. Since 1998 architectural office in Eisenstadt. Since 2000 lecturer at the TU Vienna. Member of various design committees, curator, author. is a freelance architecture publicist based in Graz and Vienna and an editor with Park Books. lives and works in Vienna as freelance architecture publicist, writer, and curator.